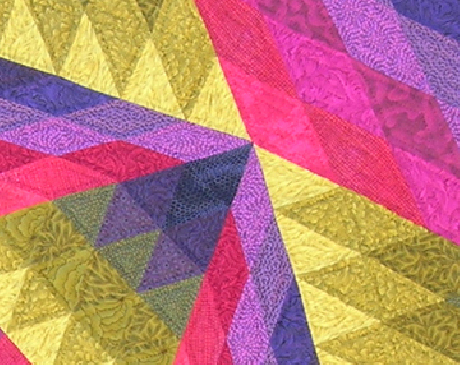 This fragmented quilt was designed with cool and warm colors to achieve a glow. The fragmented drafting and design are from a Jinny Beyer seminar. 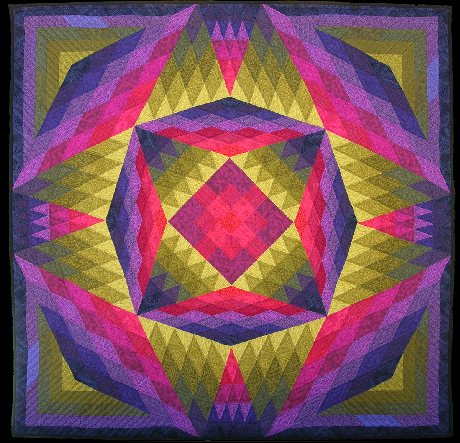 Machine pieced and hand quilted. 100% cotton fabric, batting and thread used.